Apple ID is the personal account that is used to access all of Apple’s services, like the App Store, iTunes Store, iCloud, iMessage, the Apple Online Store, FaceTime, and more. Though it has generally been a somewhat smooth operation, there have been some problems that arise either through updates or general maintenances. Though Apple ID’s are generally quite simple, though sometimes time consuming, to create – problems can arise through a number of factors. Whether it’s because of your age, or your country/region, below we have all the information that you’ll need to solve any, and all, problems that you have whilst creating an Apple ID. If you have an Apple device, it’s pretty much impossible to not have an Apple ID account if you want to use any of Apple’s services. From messages, to facetime, to the App Store – all of them require the use of an active, and verified, Apple ID account. According to Apple, you must be at least 13 years old to use Apple’s services. However, if you wish to avoid that, follow the steps below. • When filling out your age, make yourself a day older (you can change it back to your real birthdate, the next day). • Wait 24 hours and try again. • On a Mac, go to Settings > Safari > Clear History, Cookies, and Cache. Then re-register for your new Apple ID account. Use similar steps for a PC. • Try creating an account from a different device. 2. 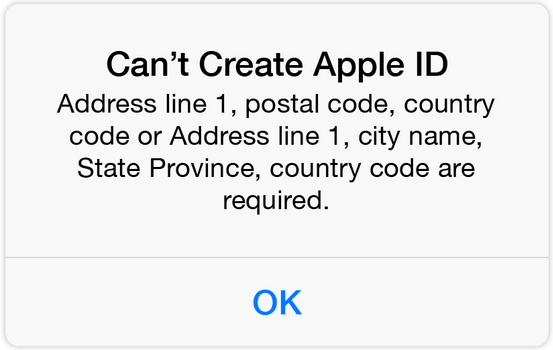 Unable to verify Apple I because activation email is NOT sent or received. • Make sure that you’re typing in your correct email address, with no typos. • Check your junk or spam email folders. • Ensure that your spam blocker is not filtering appleid@id.apple.com(link sends e-mail), then request a new verification email. • Turn off VPN, so its listed as Not Connected. Go to Setting > General > VPN (scroll to the bottom). • Restart your network settings by going to Settings > General > Reset > Network Setting (restart after resetting network settings). • Check that your Date & Time are correct by going to Settings > General > Date & Time (Toggle it ON, OFF and then ON again). • You could request the verification email to be sent on a different email address. • Open a web browser on a different device and open this link. • Go through the process of creating a new Apple ID account as usual, but use an email that is not otherwise associated with an Apple account. • Go to the original device and sign on to the newly created Apple ID. • In order to re-send the verification email, visit appleid.apple.com and click Manage Your Account. Enter your password and the Verify Your Email Address, should come up. • Check the Apple System Status page to make sure there are no outages or schedules maintenances currently affecting Apple services. If all these problems and solutions, do not fix your problem, then it is recommended that you contact Apple Support. If you have fixed the problem when creating your Apple id account, you can login to Apple id.